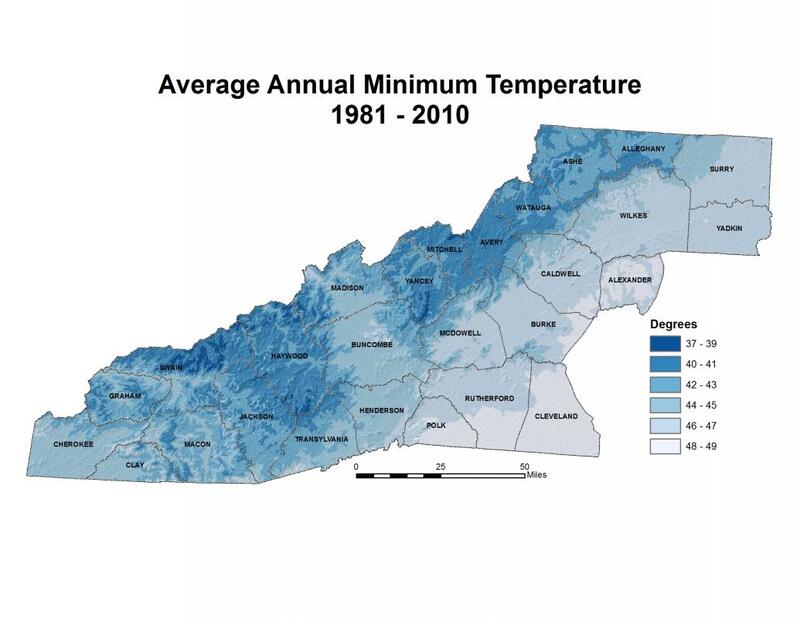 The climate of the region as a whole is cooler than that of adjoining areas, with daytime temperatures averaging in the 30s to 40s for highs in the winter and often falling into the teens or lower on winter nights. 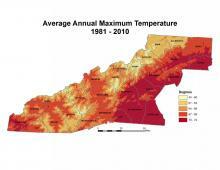 Relatively cool summers have temperatures only occasionally rising above 90° F.
Oregon State University, PRISM Group. Accessed from: http://www.prism.oregonstate.edu/. Moore Myers, J. June 2007. 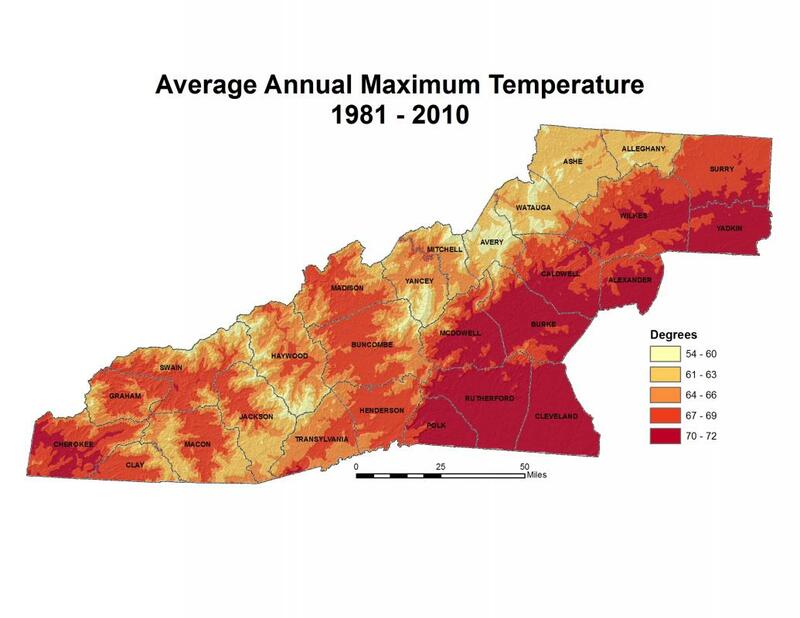 Average derived from yearly average observations in Avery, Henderson, Macon, Madison, and Haywood counties (1893 to 2006). 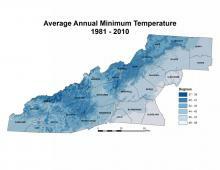 Raleigh, NC: USDA Forest Service, Southern Research Station.